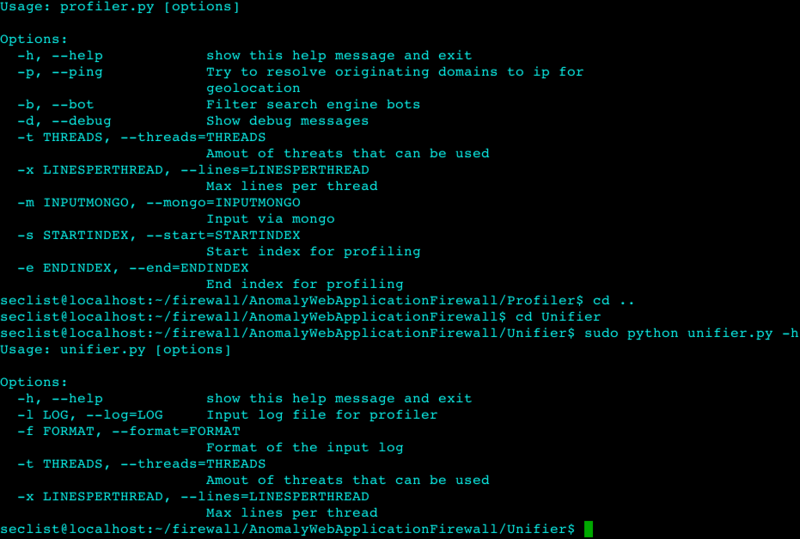 Browse: Home / AnomalyWebApplicationFirewall – an anomaly based web application firewall. 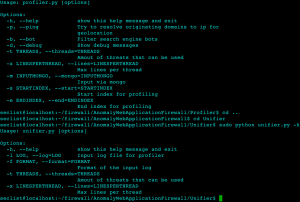 AnomalyWebApplicationFirewall is a script that used to unify access logs. The only prerequisites are that the nessesary parameters are logged and that all of the parameters are surrounded with double quotes. The outpout is saved in MongoDB which will be used as input for other scripts. This script is used to unify access logs. The only prerequisites are that the nessesary parameters are logged and that all of the parameters are surrounded with double quotes. The outpout is saved in MongoDB which will be used as input for other scripts. This script is used to run the web application firewall (simulated) based on the created profile. ← DblTekGoIPPwn – Tool to exploits challenge response system in vulnerable DblTek GoIP devices.